Jean-Cyril Spinetta and Leo van Wijk, who masterminded the Air France-KLM merger in 2004 are stepping down as of 1 July 2013, replaced by Alexandre de Juniac as Chairman and CEO of Air France-KLM Group and KLM chief Peter Hartman as his deputy. 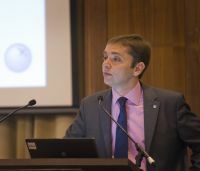 De Juniac is replaced by Air France's CFO Frederic Gagey; Camiel Eurling, former head of KLM’s cargo operations and a former Dutch Transport Minister, succeeds Hartman as CEO and President of KLM. 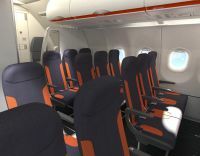 Flying on easyJet’s Airbus A320s is going to get even more relaxing as the airline begins to take delivery of planes fitted with the Recaro SL3510 seat. The first aircraft arrived at Milan last week, where it will be based. Gatwick will the home for the next from the Toulouse production line. Lydd Airport, sometimes known as Ashford Airport, has been given permission to extend its runway to serve Airbus A320 series and Boeing 737 types. For the future up to 500,000 passengers per year can be accommodated. 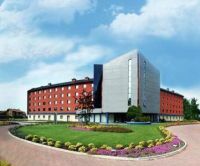 Hilton Worldwide today announced the re-opening of Hilton Garden Inn Milan Malpensa (formerly Grand Hotel Malpensa), ideal for Milano Malpensa Airport. Whilst it no longer operates via Singapore to various European points (see Qantas and Dubai) Qantas has confirmed the importance of its Singapore hub by unveiling a brand new executive lounge at Changai Airport. The campaign by this publication, and others, for all hotels to offer complimentary wi-fi is beginning to have its effect, and now has reached the apartment rental industry. 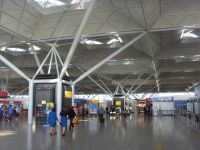 Britain’s airport capacity is likely to be a highlighted subject when David McMillan addresses Aviation Club members and their guests at London’s Institute of Directors Thursday week (25 April). 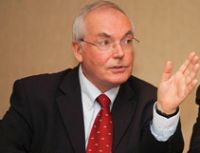 Now Chair of the Flight Safety Foundation, but a long time civil servant, Mr McMillan has unique experience on both sides of the air transport industry, previously as Director of Eurocontrol, and a UK Department of Transport stalwart where he finished up as Director General of Civil Aviation. 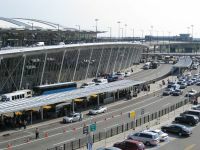 With the new JFK Terminal 4 now due to open on 24 May, and Terminal 5 at Atlanta ready to celebrate its first 12 months, Delta Air Lines has confirmed plans to significantly overhaul Terminal 5 at Los Angeles International Airport (LAX). The US$229m construction has already begun and is scheduled to take place in several phases with full completion in 2015. 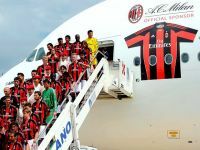 Milan to New York is the latest route to be targeted by the ever expanding Dubai-based Emirates. From 1 October 2013 a daily Boeing 777 service will be introduced by the airline, in effect an extension of one of the carrier’s three daily operations from its home base into Milan’s Malpensa airport. Z Hotels has celebrated the introduction of its third property with the launch of Z Liverpool. This opening marks the first time that the hotel group has expanded to a city centre location outside of London. Stansted’s new management, M.A.G. (Manchester Airport Group), now into its sixth week of ownership, has been quick to reinvigorate what had become a lethargic operation under the previous Heathrow (BAA) control. There is undoubtedly a newfound buzz with previous Manchester Airport Managing Director Andrew Harrison firmly in charge and hands-on. Even the much criticised Stansted Express, which represents 25% of the airport's 17.5m 2012 passengers, seems to be improving with reliability, the latest rolling stock including UK three-pin electric plugs in both classes and free wi-fi. 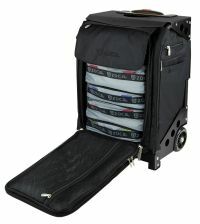 Introduced to the UK market by Zuca is a new roller bag, marketed as “The Flyer”. It claims to provide a revolution in luggage for the regular business traveller and is produced by a company in Silicon Valley, California, only founded in 2004, but now a leader in winter sports travel goods. The board of Barcelona-based Spanish airline Vueling has unanimously recommended shareholders accept an improved takeover offer of €9.25 (US$12.10) per share from IAG. 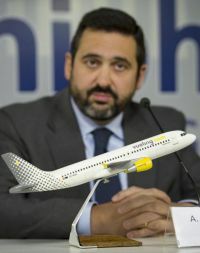 Vueling was initially created in 2004 and in 2009 was the successful target of a reverse takeover by Click, a competing low-cost carrier which had begun services in 2006. Click had been created by American educated Spanish national Alex Cruz who took over the same position with Vueling and remains in charge. 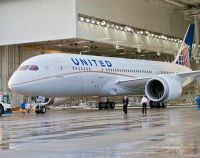 United Airlines was in a positive mood last week and said that it planned to begin flying Boeing's 787 Dreamliner five days sooner than previously expected, a sign of confidence in the jet's return to service after regulators grounded it in January over safety concerns. Mediterranean coast of Spain, 50 miles north of Valencia. 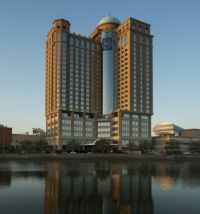 Sheraton has opened its new property which is connected to Dubai Mall of The Emirates. 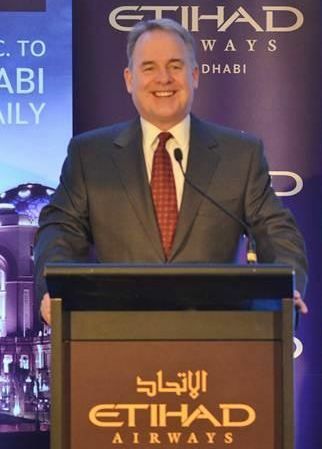 With this introduction the brand owner, Starwood, now operates 14 hotels in the city state, representing the highest concentration of Starwood hotels in any individual municipality outside of New York. 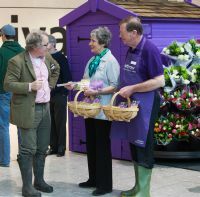 The Royal Horticultural Society (RHS) has partnered with Heathrow to bring the best in traditional English gardens to welcome passengers into London. Between today (15 April) and 25 May, over 8m passengers travelling through the airport will be welcomed with distinctive garden displays to celebrate National Gardening Week (15-21 April) and the Chelsea Flower Show (21- 25 May). The reopening on 25 April of Marseille’s most grand residence, the Hotel Dieu, as the The Marseille InterContinental – Hotel Dieu. In spite of the well publicised delays with Boeing 787 Dreamliner, budget airline Norwegian (DY) is pushing ahead with plans to introduce non-stop three times per week services from Oslo to both New York (30 May) and Bangkok (1 June). Canadian regional carrier Porter Airlines has announced an ambitious expansion plan to introduce up to 30 Bombardier C Series jets from 2016. The deal is conditional that pure jet (as against prop jets) be allowed to use Billy Bishop Toronto City Airport and the runway lengthened by 300 yards. With the longer range, and higher capacity of the C series many new markets could be opened up including Calgary, Edmonton, Vancouver, Winnipeg, Los Angeles, Florida, and the Caribbean.